Red Bull have come on strongly late in the season after a slow start, as happened last year and they increasingly play a prominent role in race outcomes. And as they are not involved in the championship fight they can try aggressive disruption strategies on the others to try to force them into doing things they don’t want to do on strategy. We saw that vividly from Max Verstappen in Austin as he made a surprise second stop on Lap 37 to shake the tree. Here we will analyse the strategy and why Ferrari and Mercedes reacted as they did. Pirelli had brought the ultra soft tyres to Austin, a good step more aggressive than previous years, where the range had included the mediums. But with the strategies having been disappointingly binary this year, rather than spread across the three compounds available, the Italian marque was trying to stimulate more variety with its selection. It worked in Austin and all three compounds were used in the race. After the practice running, which was mostly held in dry conditions, it looked like a finely balanced decision between a one and two stop race. 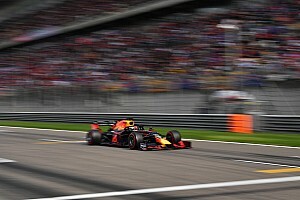 Red Bull and Daniel Ricciardo had qualified strongly in fourth and had an aggressive armoury of tyres with two new sets of supersofts available for the race, hinting at a flat out two stopper. The Australian did pull that trigger on race day, but an engine failure meant we never got to see the outcome. 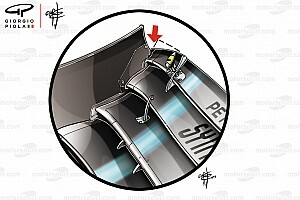 Mercedes had done their usual tactic and kept all options open with one new set of supersofts in addition to new softs, while Ferrari had no new sets of supersofts for the race; they had installed a set in FP3, which was next to new, however. A violent storm on race morning dumped huge amounts of water onto the track and washed away all the rubber that had been laid over the weekend, raising the spectre of two stops being a sensible plan. The key to the race, then, would be how hot the temperatures might get during the race as to how much degradation that would cause and whether that might tip it towards a two stop race. It was cooler on Sunday than on Saturday and that tipped the balance away from Ferrari, towards Mercedes and played a hand in deciding the race in Hamilton’s favour rather than Vettel’s. Another factor in the strategy planning was the power of the Drag Reduction System (DRS) this weekend, which was worth 0.7s on the main straight. So if a car could get close enough into the turn before the straight, an overtake was certainly possible. And we also saw it give the car behind the ability to get close and then attack in the sequence of corners that followed. This became the default for many drivers during the race and led to many overtakes in the final sector of the lap. Max Verstappen had a stunning race, after taking a grid penalty for replacing his engine for the new specification higher-performing Renault. He was targeting the podium from 16th on the grid and it needed something special from the strategists as well as from the driver. Verstappen played his part with some excellent overtakes, but the masterstroke from the strategist was to pull Verstappen in on Lap 37 for supersoft tyres. This disrupted the battle ahead with Vettel in second place, leading Bottas and Raikkonen at that time. Red Bull could make the stop because there was no threat from behind, Ocon was 50 seconds away, so Verstappen could use fresh supersoft tyres on a clear track to hunt down the leading cars that at that stage were already struggling on the soft tyres, with 19 laps to the finish. Vettel and Bottas in particular both looked to be in trouble, Raikkonen’s tyres were in good shape. Red Bull was agitating, hoping to get Ferrari or Mercedes to cover the stop. But the reality was that once he made it, both Bottas and Raikkonen woujd have lost a place if they stopped on the following lap. Only Vettel had enough margin to cover the move. He had been talking on the radio about a Plan B anyway, which was a second stop. So it was logical for him to be the only one to cover Verstappen. As Bottas and Raikkonen were already compromised by the move, the so-called number two drivers were left out to block Verstappen’s progress. For Bottas he was also going to be called on to block Vettel as he came back through. It made for a hard afternoon for the German to fight his way back through to second place, but he managed it. Given that Verstappen only caught Raikkonen on the last lap you could argue that Vettel’s extra stop was unnecessary, but as he had been complaining about the soft tyres anyway it made sense. Verstappen made up 18 seconds in 19 laps and caught Raikkonen because the Finn was fuel saving in the closing stages. 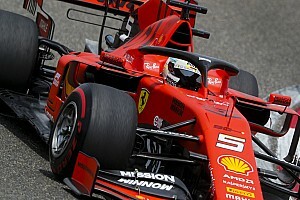 We saw that with Vettel in Malaysia, towards the end of the race, so Ferrari has had some difficulties since the new version of the engine was introduced in getting the starting fuel level right. 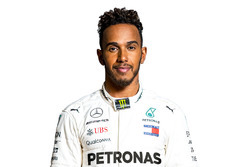 Mercedes had a 9 second margin with Lewis Hamilton and with Bottas as a buffer, they did not feel the need to cover Verstappen and Vettel’s move. Valtteri Bottas celebrated Mercedes’ fourth consecutive constructors’ championship with the rest of the team, but his dream switch to the strongest team in F1 currently has not been going smoothly lately. He has used the world ‘struggling’ frequently of late and in Austin he missed out on a podium on a day when his team mate managed to dominate the race. Bottas qualified third and held that position through the round of pit stops which put the front runners onto soft tyres and ostensibly a one stop race. By Lap 35 it was clear that Bottas and Vettel were struggling with the tyres and considering switching to a two-stop plan. At this point Verstappen had not stopped. The consideration they had was that had Mercedes pulled the trigger it would have amounted to an undercut attempt on Vettel, who would have been able to cover it the next lap. So in terms of a chance to move forward it was limited in scope. But what about as a defensive play against cars behind? It was a question of whether they could hold up Raikkinen on the same tyres. 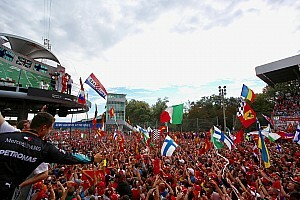 They believed they could, especially with Raikkonen in fuel saving mode, but they were wrong. Raikkonen passed Bottas on Lap 42 and after Vettel came through on fresh tyres and with Verstappen set to pass him as well, Bottas made a late stop. With a huge gap back to Ocon there was nothing to lose by doing this. But by not following the initial instinct to stop, what would have been a podium ended up a fifth place and more dejection for Bottas. Carlos Sainz finished sixth in Austin in 2015, although he was later demoted to seventh for a pit lane speeding penalty. Last year he got his sixth place and this year, on his debut with Renault, so driving an unfamiliar car, he bagged seventh, behind Estaban Ocon; a fantastic result. In this he was helped by the latest instalment of the Force India driver feud, whereby Sergio Perez was again requesting to be allowed through past his team mate. He was told that Ocon was “managing his pace” to the end of the race on the soft tyres, so it was not the case that Perez was faster. The team was unwilling to swap the cars because they felt it would not change the finishing result and points haul, as in Japan. But unlike the last race, they were wrong, because Sainz cruised up behind Perez and passed him, dropping the Mexican to 8th, where he finished. Felipe Massa started the race in 10th place, due to other drivers’ grid penalties and was able to start on supersoft tyres and run a long first stint. He pitted on Lap 29 onto ultrasoft tyres, leaving 26 laps to the finish. It was an unusual strategy and it netted him a ninth place after he passed Kvyat at the end of the race. But he was never on the pace of Sainz and the Force India cars ahead. Showing the gaps between the cars and the relative pace. An upward line is good pace, a descending line is poor pace. Look at Bottas’s pace (blue dotted line) in comparison with Hamilton. Had he stopped on Lap 35 or 36 he would not have been passed by Verstappen and would probably have been able to pass Raikkonen for third place in the closing stages to secure a podium.